Hackers attacked the website of a national airline and flight information screens at Vietnam's two biggest airports on Friday, posting notices that state media said criticized the Philippines and Vietnam and their claims in the South China Sea. Operators of airports in Hanoi and Ho Chi Minh City briefly had to halt electronic check-ins when systems were attacked on Friday afternoon, the country's civil aviation authority said. The website of Vietnam Airlines was also compromised, directing browsers to what the flag carrier described as "bad websites overseas". State-run media said the messages were about the South China Sea and denounced Vietnam and the Philippines, which are at odds with Beijing over maritime sovereignty. Vietnamese media said the hack was claimed by a group called 1937CN. Reuters was not able to immediately verify the content of the messages. The region is on edge, facing diplomatic dilemmas in the wake of a July 12 ruling by an arbitral court that declared Chinese claims to most of the South China Sea as having no legal grounds. Beijing has called the ruling farcical and refuses to recognize it. The decision was favorable to the plaintiff, Manila, and by extension, Hanoi, which has similar disagreements with China about its island-building and the conduct of its vast coastguard fleet in the South China Sea. 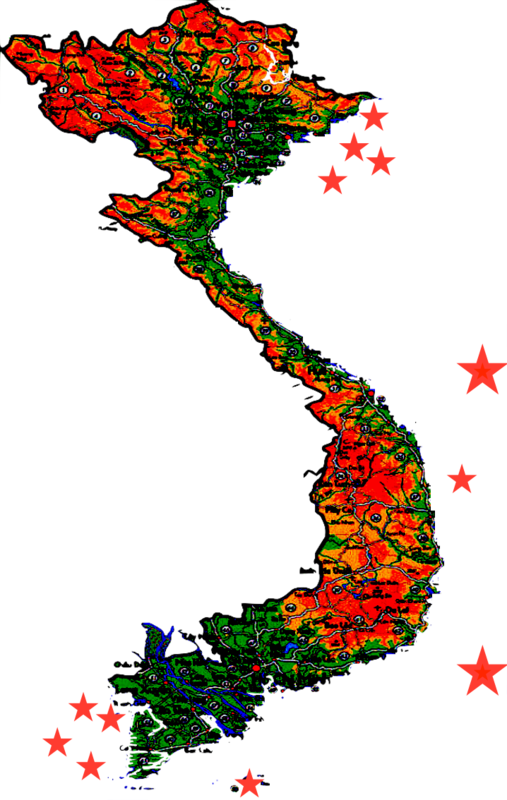 Vietnam's vice transport minister, Nguyen Nhat, said the content displayed by the hackers offended his nation and the Philippines, Thanh Nien news reported, without elaborating. The report said the same picture was posted on the Vietnam Airlines website, with "distorting content" about the situation in the South China Sea.